The Boston Convention and Exhibition Center is an exhibition center in Boston, Massachusetts, United States. It is among the largest exhibition centers in the Northeastern United States, with approximately 516,000 square feet of contiguous exhibition space. Gallagher Bassett is pleased to attend and present at this year’s RIMS 2019 Annual Conference & Exhibition. 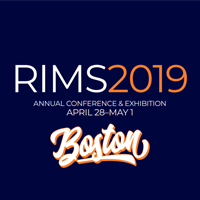 The annual RIMS conference brings together thousands of risk management professionals and property and casualty insurance experts for educational, networking and business opportunities. This year’s conference will be held in Boston, MA from April 28 - May 1, 2019. Survey the results of the 2018 midterm elections and their effects in Washington, DC that affect the risk and insurance community. Follow the impact on the RIMS Federal Agenda and the continued importance of advocacy through grassroots activity and political action. Seize the opportunity to address and influence how diversity and inclusion (D&I) take place at your organization. Engage in a candid conversation about D&I viewpoints, its importance and the practicality of bringing about meaningful inclusion for positive change. Assemble simple methodologies that underlie concrete D&I programs and policies. Learn how D&I can improve your organization's business operations, delivery of services, customer experience, and worplace environment and morale. Gauge your program's success in comparison to your peers' efforts with severity mix adjustment rating technique (SMART) benchmarking. See how this method accounts for unique characteristics of a claim or program to generate a more thorough analysis and, potentially, overall program improvements. Please let us know if you are attending this conference. We are looking forward to seeing you in Boston!